We have talked a good deal in recent weeks about the threat of Medicare fraud and the important roles whistleblowers play in protecting the system. In addition to the danger of fraud against our federal health care programs, there is also the potential for fraud against our state programs. As a San Francisco Medi-Cal lawyer, Attorney Brod is prepared to work with the brave individuals who report past and on-going Medi-Cal fraud schemes that seek to profit at the expense of our state’s most vulnerable. Medi-Cal is the Medicaid program for the state of California, a public health insurance program financed by State and federal funds and providing care for low-income Californians including seniors, families with children, pregnant women, disabled individuals, and people suffering from specific health problems. According to the Office of the Attorney General (“OAG”) for California, Medi-Cal fraud occurs when scammers bill the program for services/medications/supplies that are never performed, not necessary, or cost more than the actual care rendered. An additional form of fraud involves either paying or accepting kickbacks for billing referrals. The OAG cites government and industry sources finding that, in general, states lose between 3 and 10 percent of their Medicaid budgets to fraud or abuse. Using that estimate, Medi-Cal may lose billions of dollars per year, a burden that results in higher taxes and higher insurance premiums. Fraud also diverts part of an already thin budget for Medi-Cal services and can create more specific health risks (i.e. danger of disease transfer due to reuse of syringes to save money or using unqualified staff members). Wrongdoers may include both those directly and indirectly involved in the fraud, with the latter including doctors or patients who allow their program numbers to be misused. The Bureau of Medi-Cal Fraud and Elder Abuse is charged with combatting this fraud and abuse and pursuing those involved in fraudulent schemes. Whistleblowers can be an essential asset to the Bureau, reporting fraud that might otherwise go unrecognized and that could otherwise grow to cause major losses of program funds. What type of Medi-Cal fraud have been seen in recent years? A big story broke this summer, including via an article by The Center for Investigative Reporting, about fraud involving Medi-Cal’s drug rehabilitation programs. Clinics in California diagnosed people with addictions that they did not have, provided counseling sessions to people who did not need them and could not follow them, and signed patients in for days they never attended clinic sessions. The programs used mentally ill and bribed people with cash, food, and cigarettes. Overall, Medi-Cal paid $94 million over the prior two fiscal years, half of the total public rehab funds, to clinics that have exhibited signs of improper billing. Whistleblowers played an important role in uncovering this fraud and continue to be vital to the prosecution. For example, a whistleblower reported “ghost-billing” by a Los Angeles-area clinic. Other emails also alerted auditors to the fraudulent acts. Notably, the law protects those who report or refuse to engage in fraud. In one case, an employee was fired for refusing to participate in the filing of fraudulent claims, but later recovered money via a settlement and judgment on retaliation claims. Various employees, along with patients whose information was used in the fake billing scam, will also be involved as witnesses in the fraud cases. 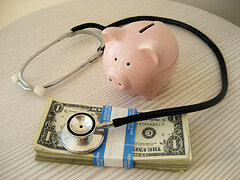 As a Medi-Cal fraud law firm we are dedicated to helping protect taxpayers’ money and the work of the Medi-Cal program. Whistleblowers are key to this effort, including employees, patients/program participants, financial professionals, and others who have information about fraud. If you have witnessed fraud on the Medi-Cal system, call us. Individuals who help bring qui tam lawsuits (a formal name for claims brought by a private whistleblower) may be eligible for a significant financial reward, in addition to the knowledge that they helped protect our state, our taxpayers, and some of our most vulnerable fellow Californians.